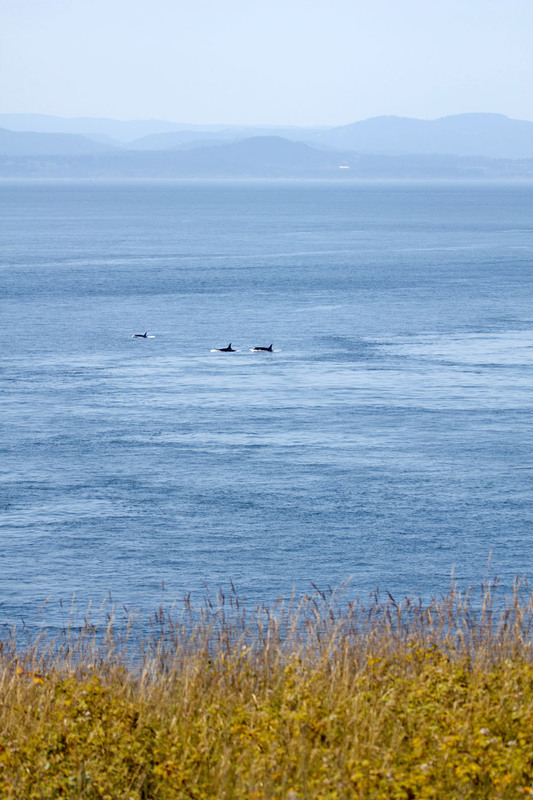 One thing that we have come to learn while spending time here in the San Juan Islands is that people take things pretty slow. No one is really ever in a rush and for us, that is very comforting. 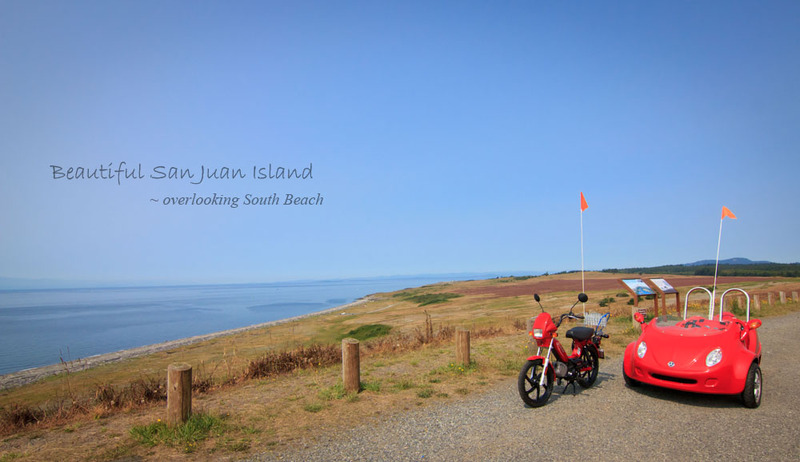 We’ve spied these cute little candy apple red mopeds and scoot coupes all over San Juan Island and often wondered to ourselves what it would be like to have a ride in one of them. Taking life slow and really exploring the island is how I always perceived the experience to be. Of course B was always chiming in with his opinions. Could you guess how happy he was when hubby and I told him that today would be the day we would go and take a scoot coupe out for spin? After a brief instruction on how to operate the moped (hubby) and scoot coupe (B and I) we were off. Wind blowing in our hair, smiles from ear to ear and the feeling of complete freedom from the openness around us was so invigorating! 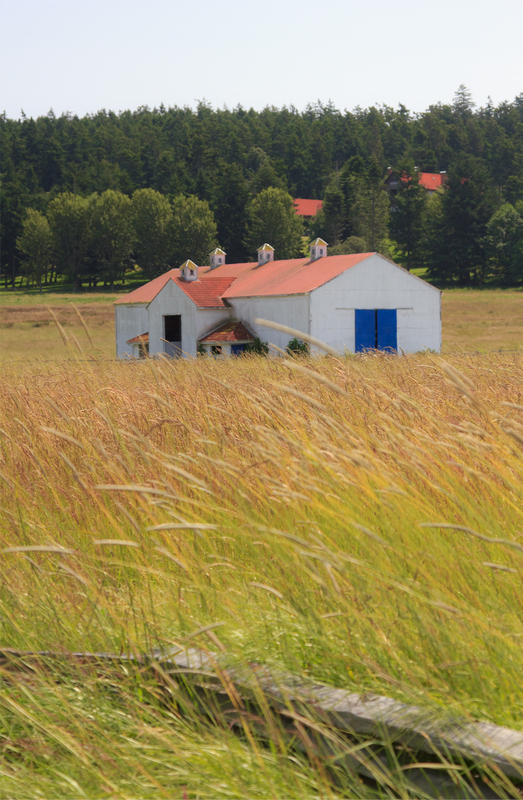 When you are cruising around the island this way, you are tempted to stop everywhere and guess what? You can. You see things from a different perspective this way. We found that we saw things that we would not have normally seen from the window of our car. We honestly felt like we were one with the island. It may sound funny, but it was truly how we felt. Free, excited and ready to explore every corner around us. 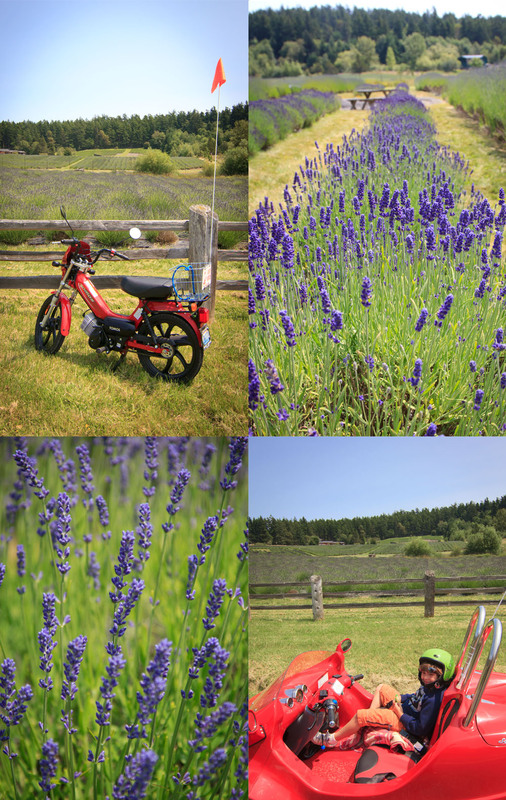 ~ Happy at Pelindaba Lavender Farm – can you imagine the scent in the air here? Fragrant and delicious . . . It was a day we will always remember. Why? 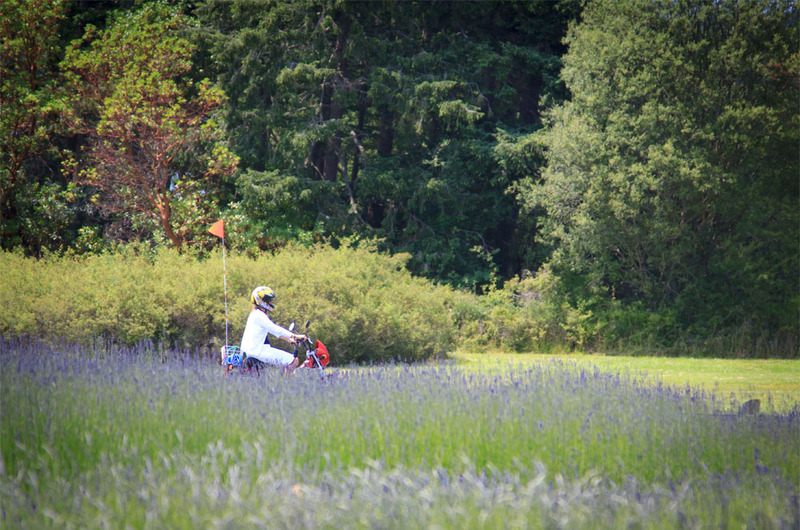 We were really able to explore so much of beautiful San Juan Island this way. We took things slow, enjoyed the views of the island as we cruised along and best of all, were together having fun. Thank you Susie! 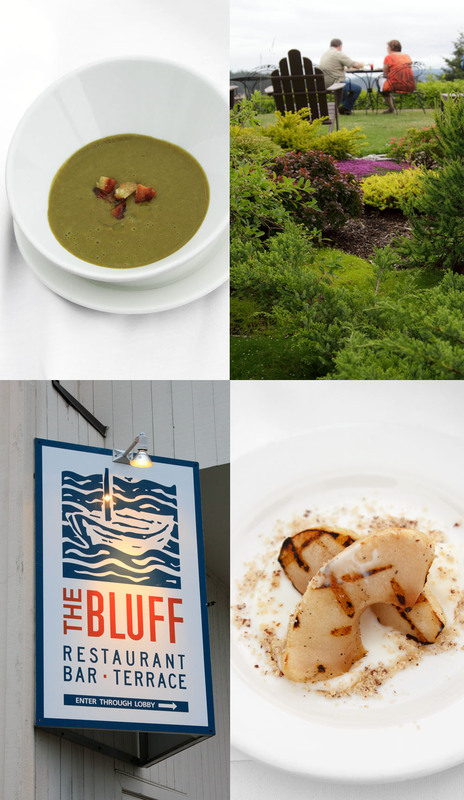 Before we headed back to the Airstream we decided to stop in at The Bluff restaurant. 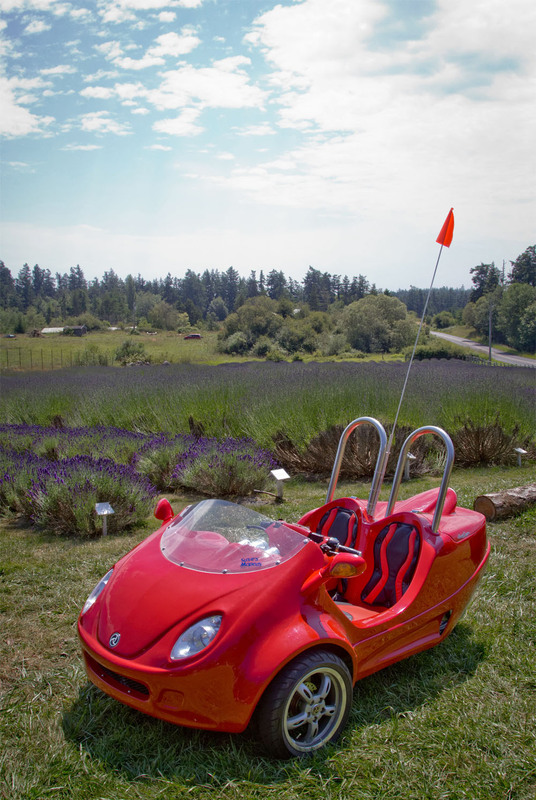 Situated on a bluff overlooking Friday Harbor we knew we were in for a treat not to mention we’ve heard some pretty special things about the talents of Chef Kyle. 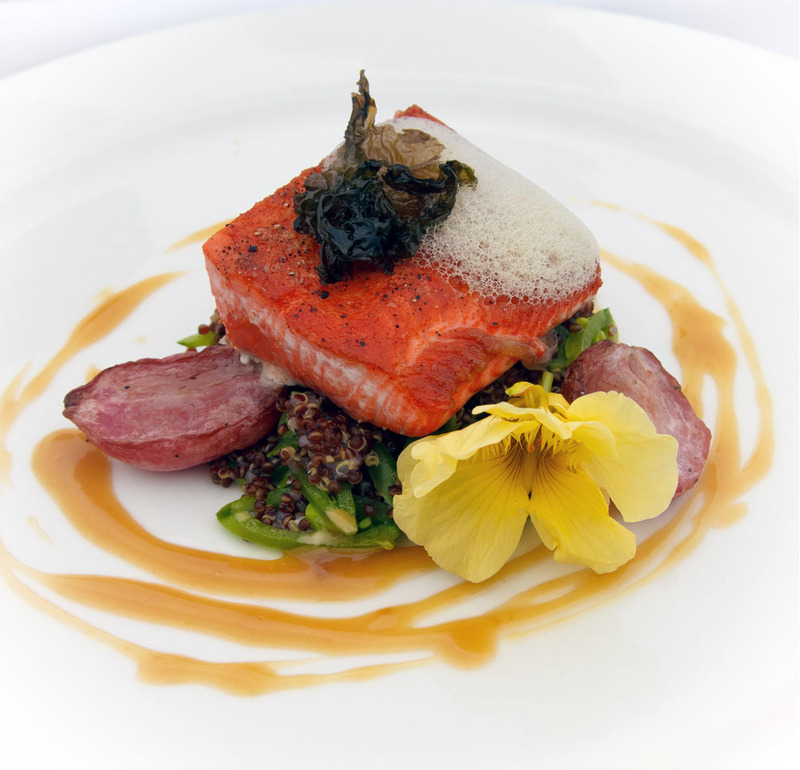 Chef Kyle creates some of the finest culinary masterpieces we have had. Foraging the island for ingredients to be used in his recipes was amazing to me from the pickled sliced kelp to the wide variety of greens and edible fruits and flowers freshly picked from the garden at The Bluff. His talents are nothing short of miraculous. We are continually impressed, day after day with the cuisine we experience here in the islands. 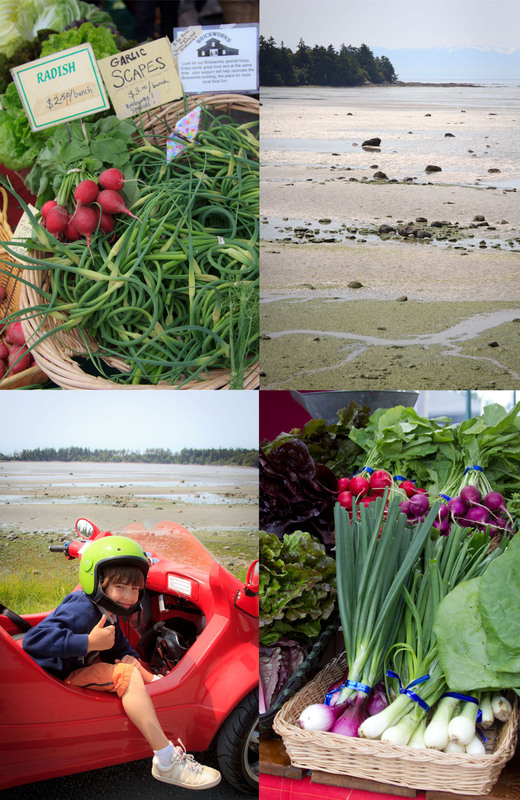 Every day is a new adventure be it picking up local fresh ingredients from the farmer’s market and bringing it back to the Airstream to prepare for dinner or by visiting some of the finest dining establishments. We are always, always impressed. 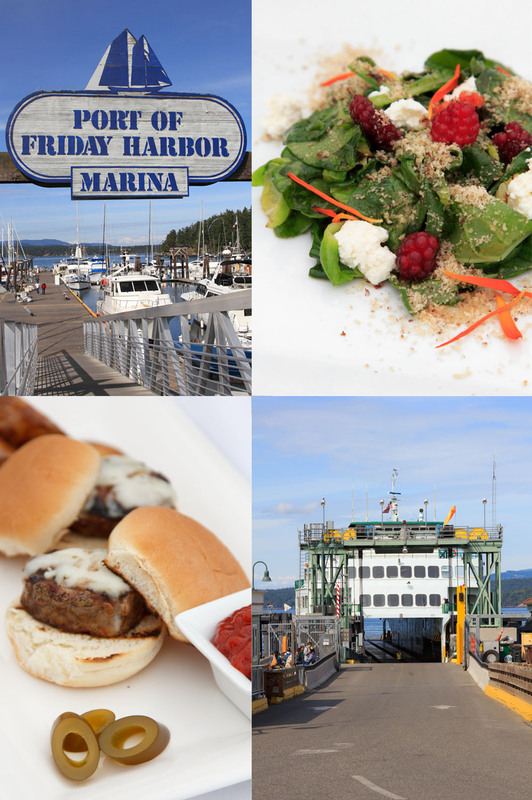 The San Juan Islands are definitely a dream come true for any foodie out there. 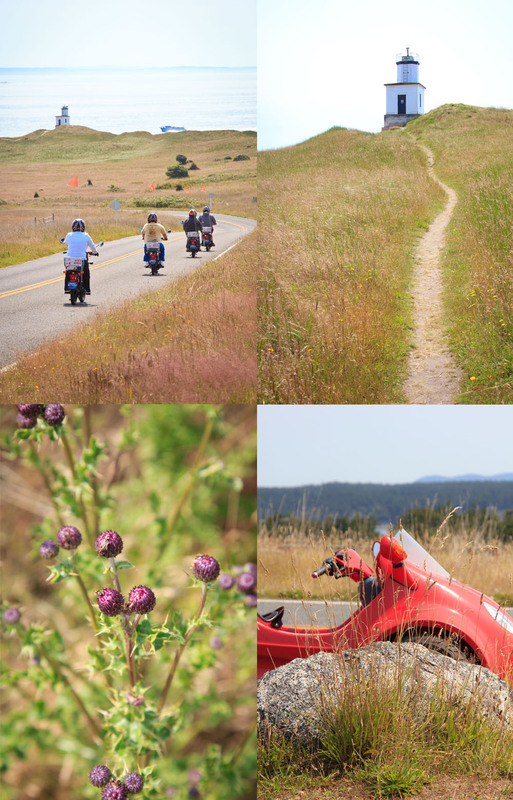 Wow, you got some brilliant photos with the moped and scoot coupe! 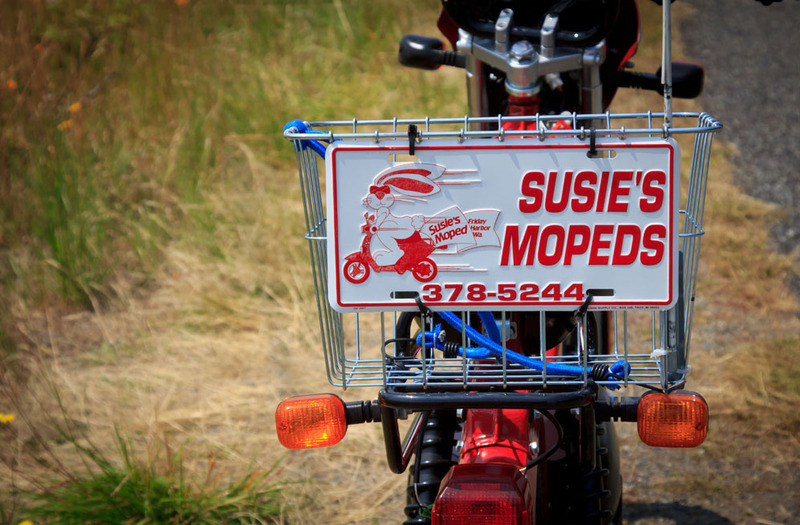 You should see if Susie wants to buy them from you for her advertising, ha! Gorgeous and very representative of the “feel” of the experience. Very nice! That is such a sweet compliment – thank you Jen!!! You know, it was funny — as we were topping off the gas in the moped/coupe at that Shell station around the corner from Susie’s, some tourists on the island approached me and said, “you must be a local — we love your little car!” It was really funny — they thought that was how I got around the island and then I started thinking, if I did live here it wouldn’t be such a bad idea, lol! I bet he was one happy boy!!! How fun :) We really must get up to the islands some day! If only the summer was longer….sigh! Yes you must get up to the Islands! You have the perfect size Airstream because you can visit San Juan County Park which only allows trailers up to 25′. Kim, you would LOVE San Juan County Park — that is where they filmed the movie with Sandra Bullock and Nicole Kidman (among many other famous actors/actresses) called Practical Magic. 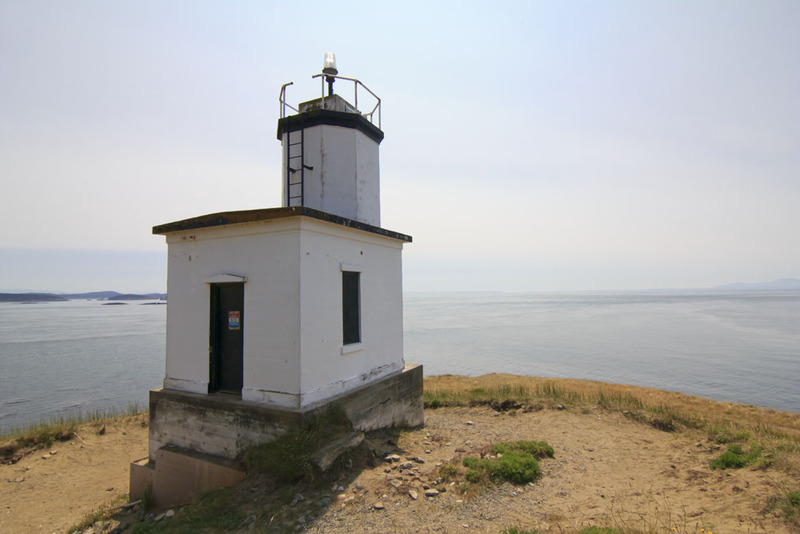 Then you have Orcas Island and you can stay at West Beach or dry camp at Moran State Park right along the waters edge of Cascade Lake. xoxo !! I LOVE the Lavender Farm and still order things from their website occasionally. I learned how to make a lavender wand there one day while visiting. I still make them using my homegrown lavender. And that sign! 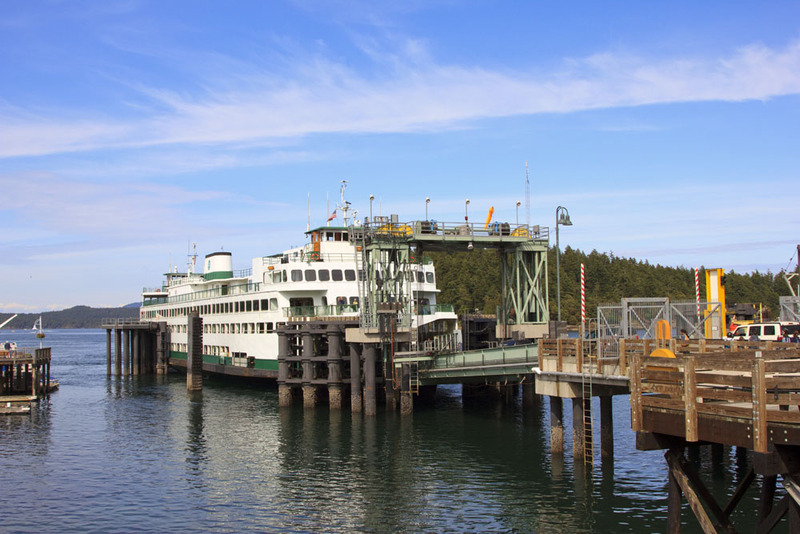 “Port of Friday Harbor” on my gosh did that bring back memories. The boat I worked as a chef on was always docked at the very end of that dock in the photo! While in port we had an amazing view or the ferries coming in and out and the sea planes landing and taking off. I can’t wait to get up there again someday!